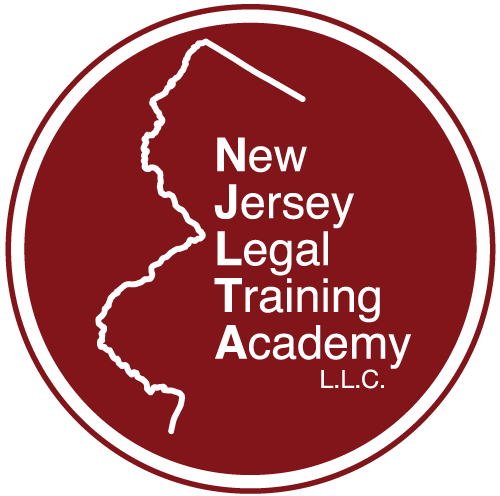 Welcome to the New Jersey Legal Training Academy, LLC (NJLTA). We are a fully accredited New Jersey CLE Provider. Our mission is to provide a practical, convenient, and affordable platform for legal professionals to meed their continuing education needs and requirements. NJLTA focuses on providing only a handful of events each year in order to ensure that the quality of course meets the specialized needs of our clients. Also, unlike other NJ CLE Providers, we can also bring the CLE directly to your law firm with customized in-house seminars catered to the exact topics you ask for! If you register and cannot attend a CLE event, please notify New Jersey Legal Training Academy, LLC in writing up to seven days before the program in order to be eligible for a refund (less $35.00 processing fee) or, use your payment as a credit toward another purchase within the next year. Credit will expire one year from order date. There are no refunds for cancellations within six days of the CLE event.